BrainPOP offers digital educational content for upper elementary and middle schoolers. With over 750 topics available, its cross-curricular topics include an animated movie—written with humor in an age-appropriate voice—plus a rich array of supporting features like movie making, concept mapping, coding projects, learning games, playful assessments, and primary source activities. These help build higher-order thinking, cognitive, and literacy skills while encouraging reflection and giving students multiple ways to convey comprehension and express themselves. For what grades is BrainPOP appropriate? 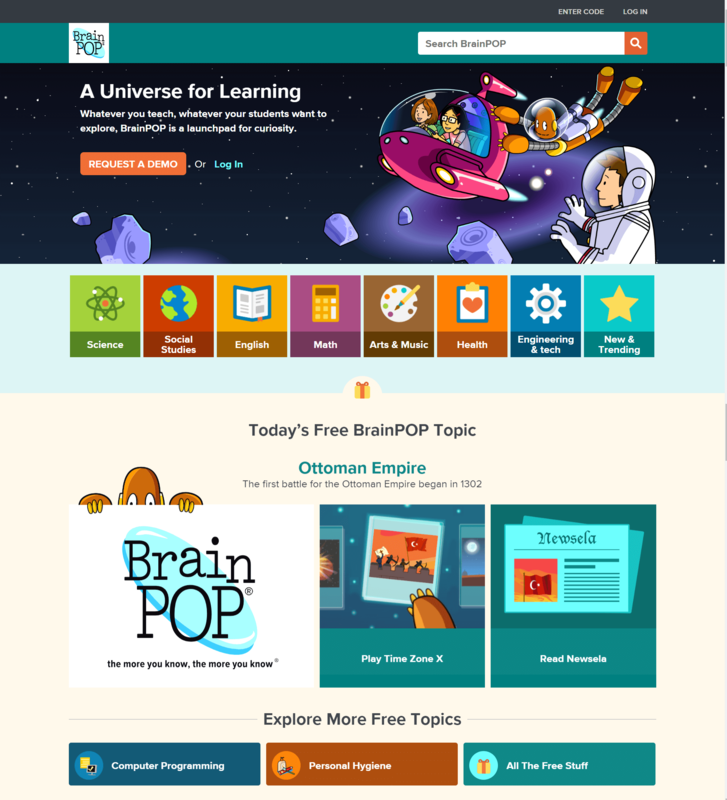 BrainPOP topics are appropriate for students in grades 3 through 12. Some topics are directed toward elementary school learners, while others address more sophisticated topics. Are BrainPOP topics aligned to Common Core standards? Yes. Using our Standards Tool, you’ll find a searchable database that correlates BrainPOP topics and games to Common Core math and English standards. You can also search by grade level. The database allows you to correlate BrainPOP movies with curriculum standards for individual states and Canadian provinces.